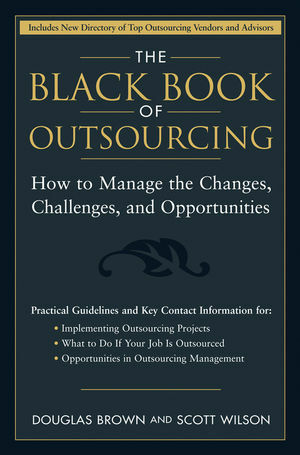 Revised for 2009 and beyond, The Black Book of Outsourcing is a comprehensive guide and directory for the evolving field of outsourcing, including expert advice on how to operate an outsourcing program. Valuable governance checklists, offshoring insights, best practices and one-of-kind resources are featured in this bible of the outsourcing industry. First published in 2005, this topical, bestselling manual explores the evolution of both outsourcing buyers and suppliers. DOUGLAS BROWN is President and cofounder of the Outsourcing Management Institute, an outsourcing consulting firm to institutional advisors, prominent corporations, governments, and other organizations. He has served in senior operations management and executive business development positions in Fortune 500 corporations and start-up ventures alike, particularly in the healthcare and IT industries. He lives in Pinellas County, Florida, with his wife Janine and their three children. SCOTT WILSON is cofounder of the Out-sourcing Management Institute and President of the renowned Outsourcing Career Center, the first international executive search firm serving outsourcing professionals and management exclusively. He is also an entrepreneur and a leading public speaker on outsourcing. He lives in Clearwater, Florida, with his wife Marianne and their two children. Introduction: Outsourcing: Opportunities and Challenges. Part One: How to Plan, Lead, and Manage Outsourcing Initiatives. Chapter 1: Overview of the Outsourcing Process. Chapter 2: Making the Decision to Outsource. Chapter 3: What You Need to Know before You Start. Chapter 4: Assessing Cost, Benefit, and Risk for Your Outsourcing Venture. Chapter 6: Selecting Your Suppliers and Vendors. 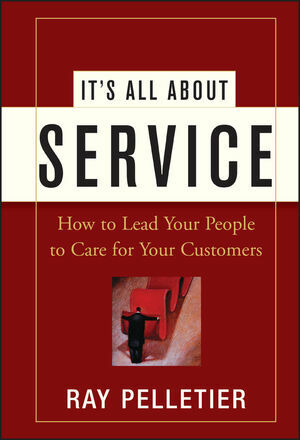 Chapter 7: Managing Your Outsourcing Vendors. Chapter 8: Navigating Contracts and Negotiations. Chapter 9: New Career Opportunities in Outsourcing Management. Chapter 10: Finding Top Outsourcers: Vendor Directory. Chapter 11: Avoiding Common Outsourcing Mistakes. Part Two: The Indispensable Guide to Finding an Outsourcing Career. Chapter 12: Strategizing for Success in the New Global Economy. Chapter 13: Learning to Market Yourself in the Global Economy. Chapter 14: Hot Jobs in Outsourcing. Chapter 15: Finding an Offshore, Nearshore, or Bestshore Job. Part Three: The Indispensable Guide for Outsourcing Entrepreneurs. Chapter 16: Starting Down the Entrepreneurial Path to Outsourcing. Chapter 17: Capitalizing on the Outsourcing Start-Up Boom. Chapter 18: Starting an Outsourcing Business.